Hot Rod Deluxe with the cool sunburst paintjob. Has a very thick layer of clearcoat on it and the box is dovetailed. 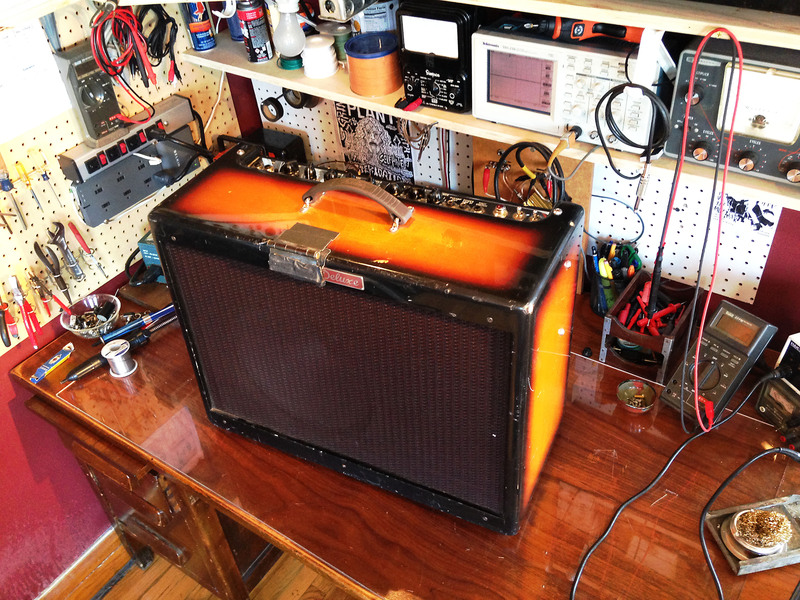 As far as I know the amp is not any different from a regular tolexed HRD other than snazzy exterior. Has an unsoldered connection. Looks like someone has replaced the relay next to it in the past and unsoldered that resistor for some reason and forgot to re-solder it. 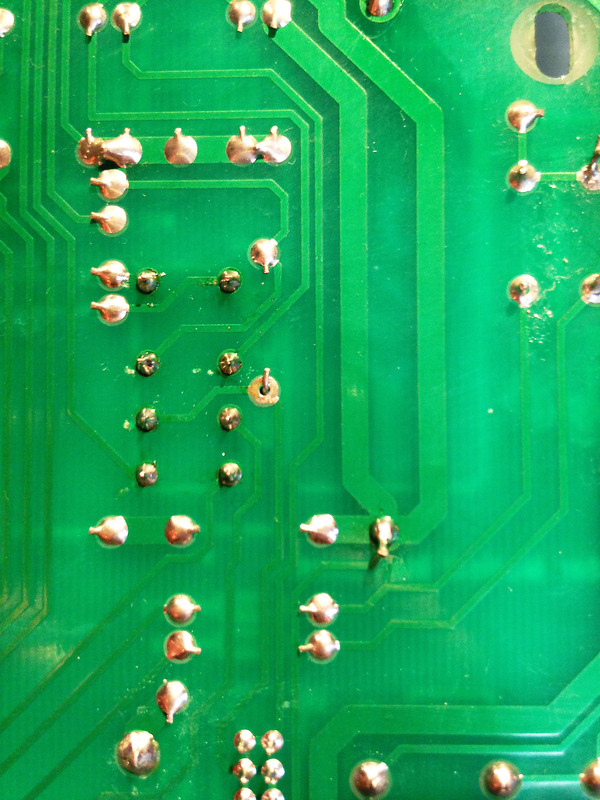 It is pressure fit into the circuit, just a human error I’d assume, not factory. Cracked solder connections are the name of the game a lot of times for these amps. You can see the two most bottom right connections on the input jack are cracked. 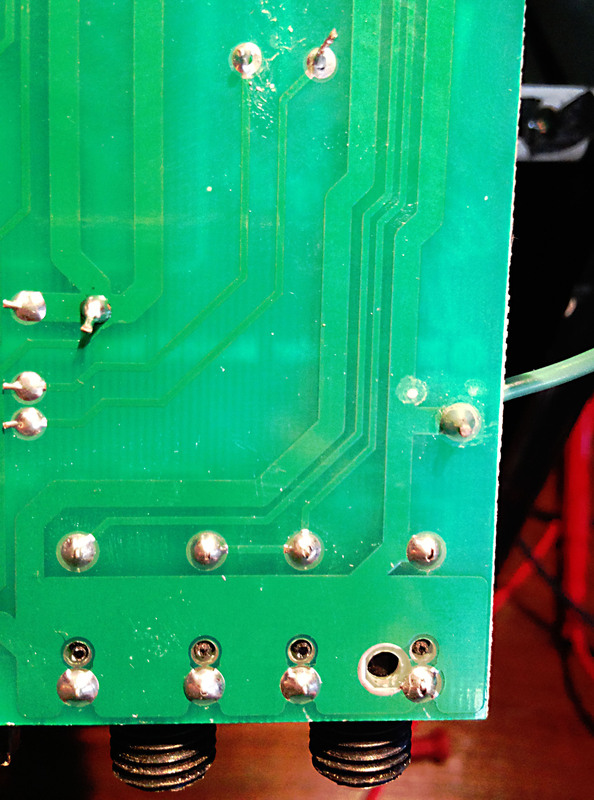 Also the top two solder connections in the pic are damaged and barely hanging on. One is for a power supply capacitor for the first stage of the preamp. It is a heavy component so when it rattles around and vibrates it breaks the connection on the other side of the PCB if it is flimsy enough. Fender has pretty nice support for their amps, so you can view Fender HRDeluxe schematic here.